Discover by bicycle tour, the most unique neighborhood in the Magic City! 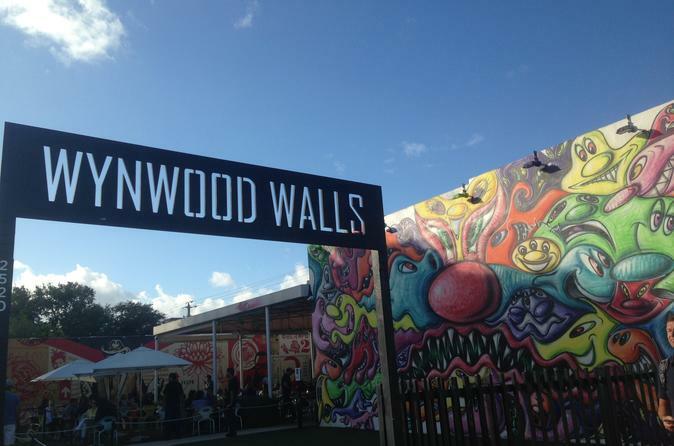 Wynwood is a neighborhood that overflows with vibrant artwork, restaurants, breweries, clothing stores, dance and club venues with Wynwood Walls at the center of it all. Depart from Bayside Marketplace right next to Bayfront Park on Biscayne Bay in downtown Miami. Pass by downtown Miami's top attractions: the American Airlines Area, home of the Miami Heat basketball, the newly opened Frost Museum and the PAMM (Perez Art Museum). Continue on past the Port of Miami and see the views of Bicayne bay with Miami Beach on the horizon. Arrive at Wynwood to explore with your guide the enchanting street art of the Wynwood Graffiti district. Sight see through downtown Miami and cruise through Museum Park, where the Renowned Perez Art Museum Miami (PAMM) and Frost Museum are located. Take in sights along the Biscayne Bay, the cruise ships of the port of Miami and see Miami Beach in the horizon. Ride through the ever changing vibrant Walls of Grafftti Artists from the world.